I was just reading the news and it seems there is much flooding in the Council Bluffs area. 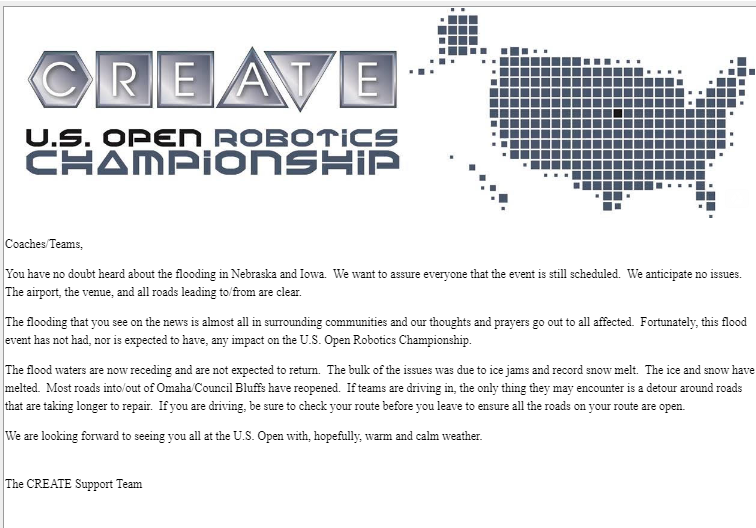 Has anyone heard of this is affecting the US Open? That will be interesting to know, indeed . I’m in the Nebraska area. As far as I know, the water in my area and around Iowa is starting to recede. I wouldn’t worry about it too much, so it shouldn’t affect the U.S. Open. 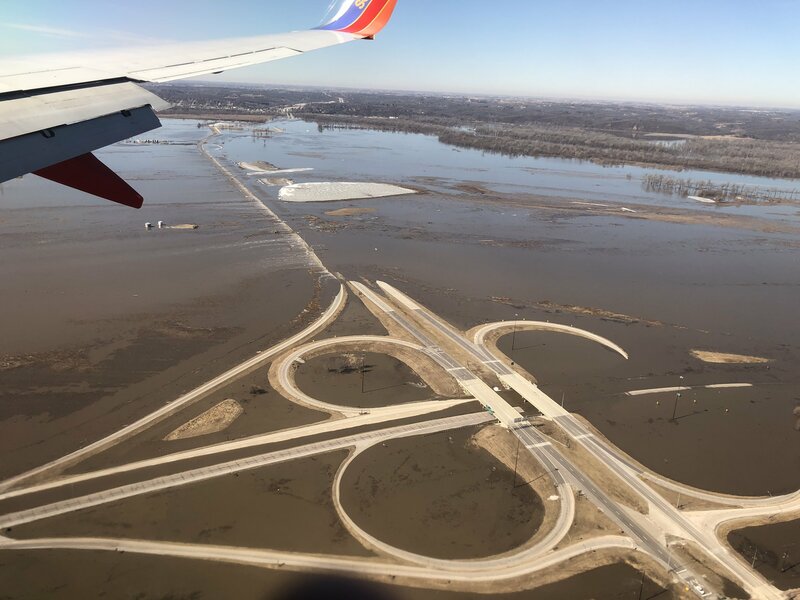 To give some context this is the I 29 I 680 interchange a common route from Council Bluffs to Omaha. Wow! The Omaha Airport is next to Missouri River, right? Can’t believe it’s not flooded or in danger of flooding. So recently I went over to the location of US Open to set up fields. Currently, as of now The Iowa Field House (where high school is this year) & The Mid America Center are fine. The majority of the area is dry. I emailed them yesterday and they said there are no problems with the facility nor roads getting to it. Now… the roads outside of the area might be an issue, but she said they were good.